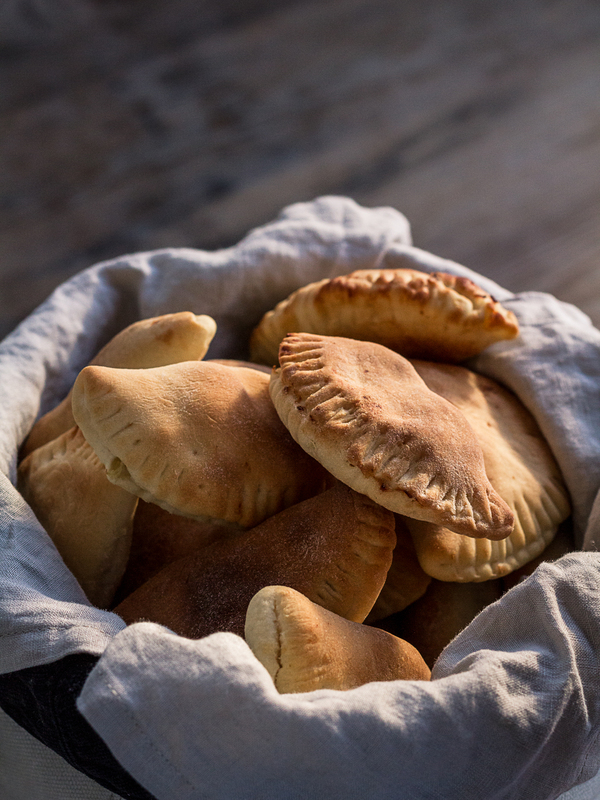 These classic Russian pasties are usually made with potatoes only, but I think that my version with celeriac is even better. Start by mixing melted butter and milk, heat until lukewarm. Add flour, eggs, and sugar and work the dough in a food processor. Finish with a little salt and then keep working the dough for a few more minutes. Leave the dough to rise under a cloth for about 40 minutes. Cut the root vegetables into smaller pieces. Chop onion and garlic, pan-fry in rapeseed oil until soft. Mash the root vegetables and add the onion, garlic, and spices. Cut the dough into four pieces and split each part into six smaller parts. Roll the dough into little balls, put the balls on a tray and let them rest for a few minutes. Roll out the balls, make dough circles around 4 inches in diameter. Put a little bit of filling on one side and fold the rest of the dough over it. Use a fork to press down on the dough, so that the two layers stick together. 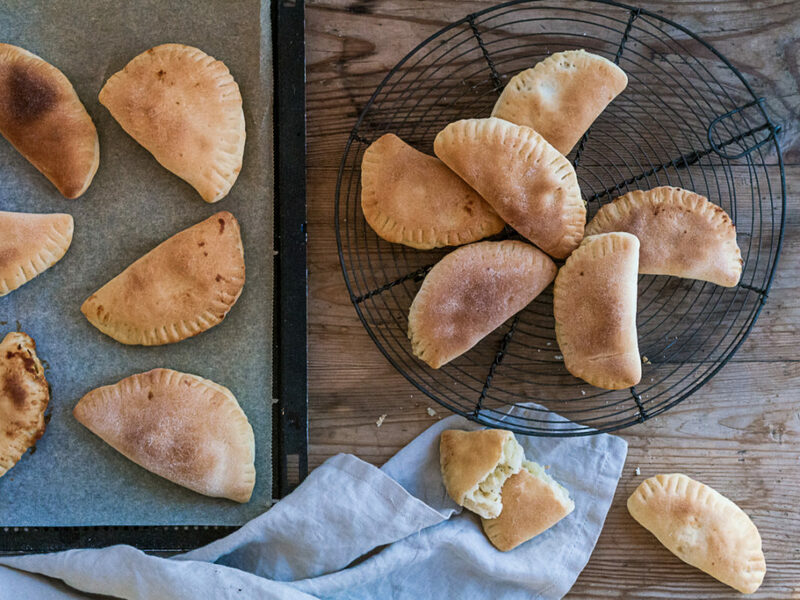 Brush the potato pasties with egg wash and bake for 12 minutes. Serve the celeriac and potato pasties with vegetables and a yogurt sauce. Enjoy!